© Croatian Coast Guard Croatian Coast Guard rescues British woman. The 46-year-old woman, who identified herself only as Kay, spoke to Croatian news outlet HRT shortly after arriving back on land. [post_ads]"I fell off the back of the Norwegian Star," she told HRT. "I was in the water for 10 hours, so these wonderful guys rescued me. I'm very lucky to be alive." She was then led by medical personnel to an ambulance. "In the morning of August 19, a guest went overboard as Norwegian Star made her way to Venice," according to a Norwegian Cruise Lines spokesperson. "The Coast Guard was notified and a search and rescue operation ensued. We are pleased to advise that the guest was found alive, is currently in stable condition, and has been taken ashore in Croatia for further treatment. We are very happy that the individual is now safe and will soon be reunited with friends and family." It was unclear how the woman went overboard. 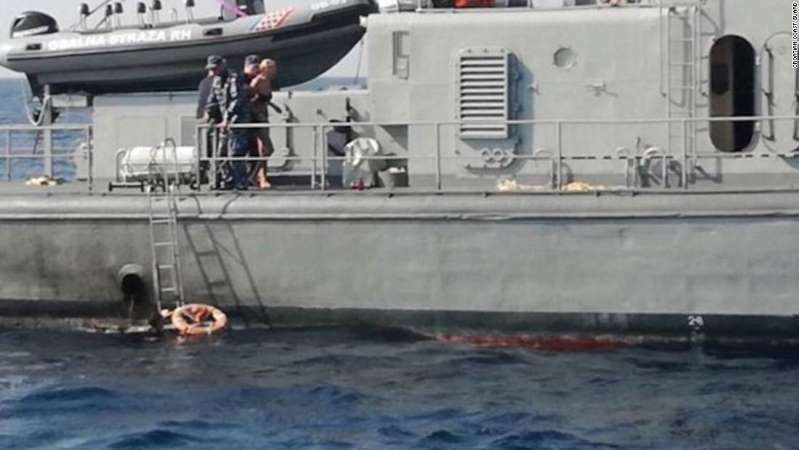 A patrol boat and an airplane were part of the rescue effort, according to the Croatian Ministry of Defense.